According to ancient Chinese astrology, the moon is at its roundest in the middle of the autumn season. Since the round shape of full moon symbolizes family reunion and togetherness in Chinese culture, one of the preeminent festivals in the Chinese calendar is the Mid-Autumn Moon Festival. During the festival, family members gather to eat moon cakes and appreciate the bright full moon – an auspicious token of abundance, harmony and luck. 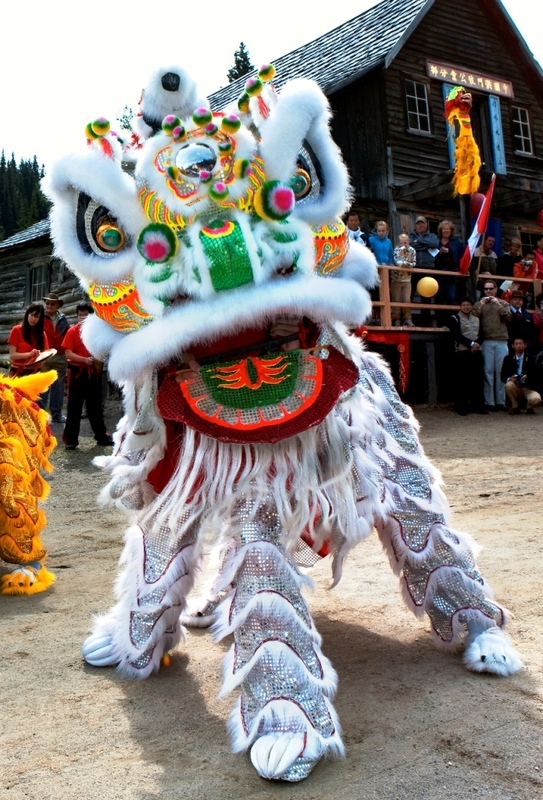 On Saturday August 16th, Barkerville is host to the National Historic Site’s own annual Mid-Autumn Moon Festival. Barkerville celebrates the festival a little earlier than most in order to share this special day with the historic town’s summertime guests. In addition to an explanation of the legend of Chang O, the tragic story of a Chinese goddess said to live on the moon, the day features lion dances, Chinese martial arts demonstrations, lantern-making workshops, a tea ceremony, games for all ages, moon cake tasting, two special celebration banquets, late-night fireworks, and a spectacular parade of illuminated paper lanterns that will fill the event with equal parts revelry and reverence for one of BC’s oldest and largest ethnic communities. The Chee Kung Tong, the oldest ethnic Chinese structure in Canada, was erected by the Chinese Freemasons in Barkerville to help Chinese miners adjust to the realities of living so far from home, and to act as a hospice of sorts for those community members in need. The Chee Kung Tong building was itself declared a National Historic Site in 2009. “This in fact makes Barkerville unique, in that we are simultaneously a Provincial Heritage Site and a National Historic Site with a second National Historic Site within it,” said James Douglas, Barkerville’s Manager of Visitor Experiences. For more information about the Mid-Autumn Moon Festival, or any of Barkerville’s seasonal events, please visit www.barkerville.ca/special_events.htm, or call 1-888-994-3332. For a downloadable .pdf copy of the 2014 Mid-Autumn Moon Festival schedule of events, please click here. For a downloable .pdf copy of the 2014 Lung Duck Tong Mid-Autumn Banquet menu, please click here. For reservations to the Lung Duck Tong Mid-Autumn Banquet call 1-250-994-3458.